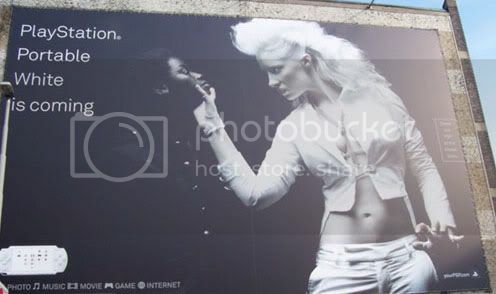 Thanks to one of the guys at the emureactor forum, I now have this crazy Sony ad from Europe. It is to advertise the new white PSP that will be coming out soon. I can’t help but wonder why we won’t see this ad in the US? hahaha.. yeah, i have no idea why that wouldn’t be printed here either. completely baffling. Agony Is a blessing what America really deserves from god?